[Review] EMPiRE – THE EMPiRE STRiKES START!! My thoughts on “THE EMPiRE STRiKES START! 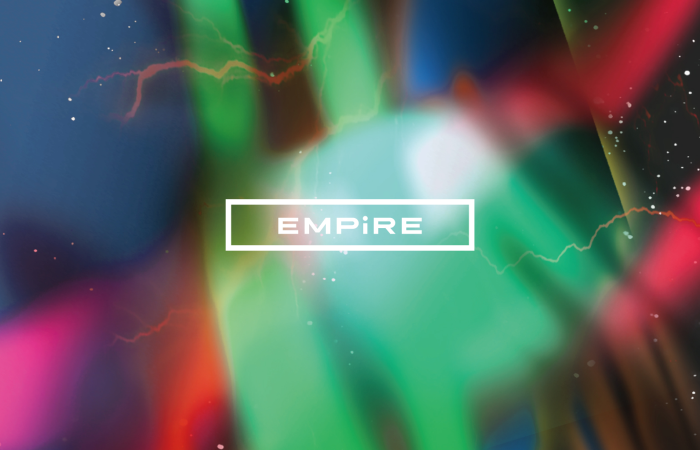 !”, the debut album from EMPiRE. Well then, the release that I’m going to be reviewing this week is rather interesting for a number of reasons. Not only is it the long awaited debut release from WACK/Avex collaboration EMPiRE, but it’s also one of the member’s (YUiNA) first and last release with the group as she’s being moved to BiS for some reason. Not the best planning there on WACK’s part, and I guess it also raises the question of how involved Avex actually are with this project if a member can just be shuffled out right after their debut album comes out. As if that wasn’t enough of a talking point, this album is only being released physically on cassette of all things so you better go look out your parents’ tapedeck. Or you could just grab the digital download I suppose. I would have personally preferred a nice high quality vinyl pressing myself but either way it’s a cool gimmick to use to promote a debut release from a brand new group. It’s nothing new, WACK is all about creating a buzz after all, granted EMPiRE have got off pretty lightly thus far between this and the initial face reveal nonsense. I feel like I have a rough idea of what to expect from this album given that a couple of songs from it have already been released with MVs by this point. I liked some songs more than others, but we’ll get to that in a bit here. I’ve also been told that the members have quite a few writing credits so I’m sure that will be interesting too. At the end of the day, since this is WACK and Avex I can’t see it being anything less than decent. Not a bad place to start from, but let’s see how good this album actually ended up being. We get things started here with “FOR EXAMPLE? ?” and right off the bat things aren’t quite going how I expected them to in all honesty. Maybe my expectations were wide of the mark, but I didn’t imagine this album starting off with a fairly chilled out House style song. Of course the chorus is very lively and pretty catchy but yeah, EMPiRE have wrong-footed me a bit with this one. The instrumental is great, and perhaps unsurprisingly is not a Matsukuma Kenta production (although composer “oni” does work for WACK). That could also perhaps explain why the vocals sit more towards the middle of the mix on this track instead of near the top like a lot of Idol songs tend to do. Interesting inclusion of English vocals too, something to take note of for later. Anyway, your enjoyment of this song will likely hinge on your feelings towards EDM and its related genres, but I for one am really enjoying it. Not a bad start there EMPiRE. The song that follows is easily my favorite EMPiRE song of the 3 or so I’d heard before this album was released. I am of course talking about “Buttocks beat! beat!”. Yeah okay, the lyrics are kind of silly right? That doesn’t stop this from being a really fun and catchy song though. Although I have to admit it’s not the most ideal thing to be humming along to in public. This one is actually a Matsukuma Kenta production, although it sounds a bit different to what we’ve been hearing from him the past few years. The Synth Rock instrumental is pretty fuzzed out, which I’m still not totally sure about but I’m probably just focusing on it too much. Maybe the vocals once again sitting in the middle of the mix is making me feel like that because I can certainly understand why someone might say the mixing on this song is off a little. It’s not really a big deal though, and it certainly doesn’t ruin an otherwise fantastic track. Which brings us nicely on to the main song that is being used to promote this album. I am of course talking about “Black to the dreamlight”, which sees those loveable beat mints boyz (the duo of Kenta and Watanabe) responsible for what is verging on a 6 minute “Ballad” style of song. As you all know, this isn’t typically my cup of tea but credit where it’s due they’ve certainly made things quite interesting and I at no point found myself reaching for the skip button. Quite the opposite, I actually found myself enjoying this song a great deal. It definitely takes a minute (quite literally) to get going but once it does I was very surprised by how catchy much of the lyrical content in this song was. Speaking of the vocals, the trend of placing them lower in the mix continues so it would appear this is a deliberate creative choice. Three songs in and I’m liking everything I’ve heard so far. Those feelings are also extended to the album’s fourth track “MAD LOVE”, which as best I can tell is not some sort of abstract cover of the Sean Paul and David Guetta hit of the same name. This one also starts out a little bit on the slow side but eventually picks up steam, well more steam than “Black to the dreamlight” had at least. Once again I’m loving the chorus on this track and will likely have it stuck in my head for weeks, although I feel that perhaps in general they could have sharpened the edges of this song some more. This is also the first time where I found myself thinking that the way the vocals are being mixed perhaps detracts from the song a little, more specifically the chorus. These are fairly minor criticisms of what is otherwise once again a very enjoyable song. Anyone else hear a dude singing in the background a couple of times by the way? It’s probably Watanabe messing around like he usually does. The album’s fifth track “Don’t tell me why” is of particular interest as it is the first time we hear a song where one of the members of EMPiRE plays a part in the creation process. YU-Ki apparently penned the lyrics for what is a rather surprising Chillhop number that I don’t think most people would expect from a WACK project. It’s hard not to be reminded of groups like Especia or FantaRhyme when listening to this one, which is pretty good company to be in. Now there are a couple of vocal parts, particularly in the chorus, where things go a little bit off the rails but it’s hard to focus on that when your ears are presented with some rather questionable moaning around 2 minutes in. I guess WACK had to weird this one up somehow or people might think they were taking things too seriously. I’m not mad though, this is still a really great song. MAYU gets in on the lyric writing for the album’s sixth track “TOKYO MOONLiGHT”. This song had been around for a few months before the release of this album so I’ve had a bit more time to digest it than I have a lot of the other songs. It occupies a similar space to “Don’t tell me why” but noticeably heavier on the synthesizer and with a slightly higher tempo to things. The similarities are perhaps a little bit too noticeable, or it could just be the fact that they chose to place these songs back to back on the tracklist. Don’t get me wrong, this is also a fantastic song. I love the synthesizer melody that is a near constant presence throughout the song and the guitar solo towards the end was a nice touch too. Vocally things are also perhaps a little rough around the edges in places but it’s charming in its own way. No moaning on this one though which may or may not be a disappointment to some. beat mints boyz return for the next track to inform us that “EMPiRE is COMiNG”…or well they’re here now I guess so maybe we should change that title to “EMPiRE has CO…never mind. This is another song that has been out there for a bit so my opinion is perhaps also a little more developed on this one too. It’s a song that walks a very fine line between sounding like a Ballad and being this really high tempo head bopper. The chorus is nice and catchy although I think that the vocals could have maybe been placed a smidge higher in the mix, just my totally unprofessional opinion though. This is probably one of the closest things to a “vanilla” J-Pop song you’re likely to hear out of WACK so that in itself makes this an interesting listen. Although for me personally, there are more interesting songs on offer from this album. I’m actually not sure what to make of the title of the album’s eighth track “DEAD BODY”. Perhaps it’s some kind of oblique reference to a certain famous YouTuber and their escapades inside a certain Japanese forest, we can only speculate. What I know for sure though is that this song sure sounds an awful lot like something BiSH might release these days. From the way the vocals are structured to the instrumental itself, this one certainly sounds somewhat similar to the “Orchestra”s of the world, or perhaps that’s just how my ears and brain chose to interpret it. As someone who has grown a bit tired of this style of song it’s hard to get too excited about this one in all honesty. There’s nothing that’s really bad about it, maybe the mixing if that’s not your thing, it’s just a pretty unexciting song to me. I expected a bit more from a track with such a provocative title I guess. Things continue on with a slower pace for track nine as well. “LiTTLE BOY” sees our third EMPiRE member in YUKA try her hand at writing some lyrics and the results are once again fairly fresh compared to everything else on offer thus far. This song has a “big” feel to it, which I realize is a terrible way to attempt to describe it. I guess it kinda feels like it could be an anthem of sorts, what with the pounding delivery of the instrumental along with the emphasis put on each line of the vocals. It’s perhaps not the most exciting of songs but from a technical standpoint it really does show off the vocal talents of each of the members really well. There’s also some great synthesizer melodies weaved into this one too which I’m never going to complain about. It’s rather amusing to think that there are people out there who believe Matsakuma Kenta is a one trick pony. YUKA is back on lyric writing duties for the album’s penultimate track “KONO SEKAi NO KATASUMi DE” although this time she is joined by SCRAMBLES sound engineer You-oh OKi who was also responsible for the composition of this song too. This song has a bit more energy about it, which is good to hear after the last couple of more lowkey sounding tracks. For me the big takeaway from this song were the harmonies which I probably should have mentioned at least a couple of times already by now but this song is probably one of the better examples of it. Also there’s a lot cymbal abuse going on on this track too, which was maybe both a little bit unnecessary and too noticeable if I’m feeling the need to comment on it. I’ll be honest, this is still a little bit too mellow for me personally but that’s just my personal tastes. Doesn’t mean it isn’t a great song just because it wasn’t catered 100% to me though. The album closes on “AKARUi MiRAi” which also happened to be the song that was used for the very first MV that EMPiRE ever put out. In case anyone was wondering, Watanabe penned the lyrics for this one and Kenta produced it. I’ll be honest, this song didn’t blow me away when I first heard it and it took me a while to come around to EMPiRE because of it. My opinion hasn’t really changed either in that regard but I wasn’t really expecting it to. This is a very vanilla sounding Ballad that doesn’t really tell you anything about the group. I know I said some stuff about the last couple of songs before this one but I’d take all of them over this in a heartbeat. “AKARUi MiRAi” is absolutely fine but there’s 10 other tracks on this album that I’d rather listen to before it, which makes its place in the running order rather fitting. Okay, so I think it’s fair to say that this album does lose a bit of steam towards the end there. We can debate how much or how little but I think it’s a reasonable statement to make. Still, can we just take a moment to appreciate the fact that WACK and Avex actually made some pretty interesting tunes here? If anyone thinks WACK is getting stale then you definitely need this album in your life, it should change your mind pretty quickly. So, Album of the Year then? Nah, not quite but damn I’ll take more of this kind of stuff if that’s the route we’re going down. You’ve got to remember that this is only EMPiRE’s first release, something I’m sure will be overlooked. I don’t know if or how you improve on this but I’m along for the ride. Just for the love of all that is holy please release the next single/album/whatever on something other than a cassette tape.